Went over with the audio that tackles about Time-Bonus Ads. I think, rather a little piece of advice; if you can’t clearly understand the first time, better check it out for the second time to avoid overlooking on some important points. I often transfer data from Skype chat to Word. This way, it will help me remember what are the new updates or feedback. 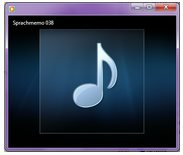 Extracting files from Skype is just same as transcribing audio-video recording but easier and not tedious.